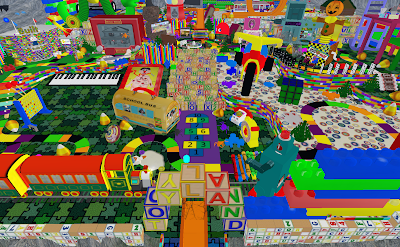 I do hope you've been to Toyland, about which I've blogged before. 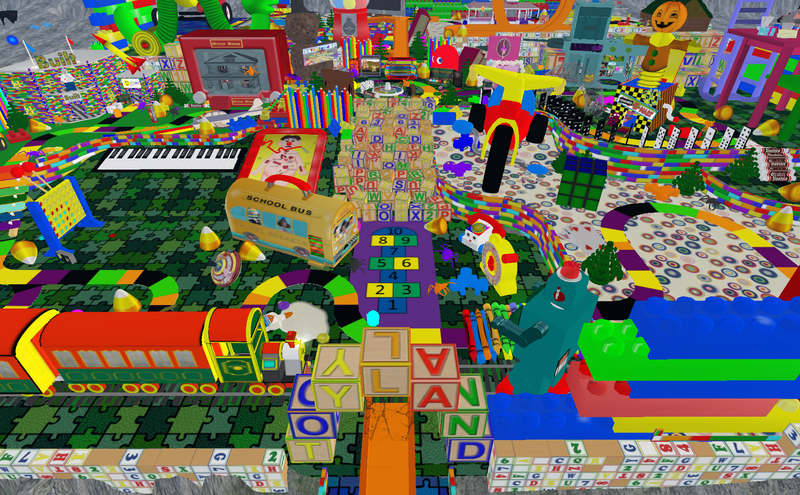 Your childhood will come roaring back as you explore a huge sim of games and toys, all enormous and brightly colored. The impressive list of creators who have contributed to the hunt include Cutea Benelli, Gfresh Botha, Scottius Polke, PeanutbuttahJellehTime Magic, Jeanette Doobie, Huntress Darkfold, Thumper Boucher, Yohane Rockett, Lakhesis Nikolaidis, Photon Pink, Yohane Rockett, Green Hawks and Blueboy Huckleberry. 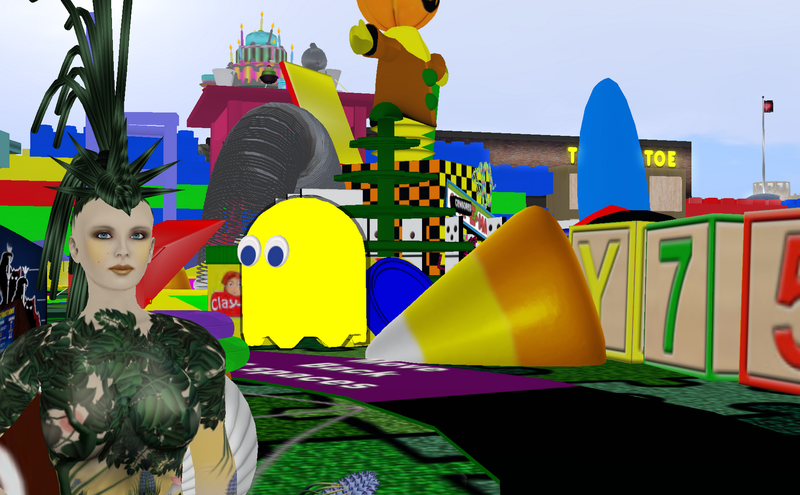 Click here for a teleport to a good spot to start, and have fun! There's also a Halloween Bash on October 29th from 12:00 to 16:00.